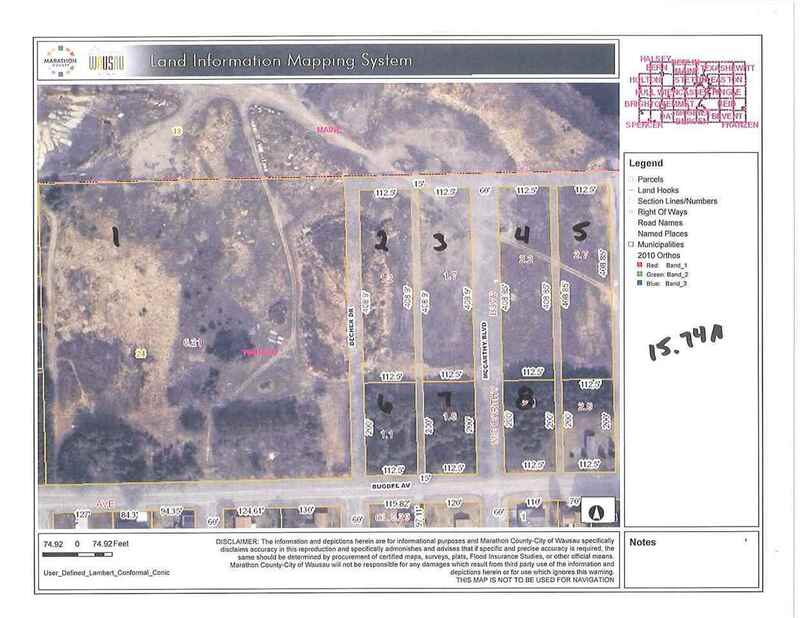 City of Wausau development parcel. Large 7.8 Acre MOL parcel. Old plat was recently vacated to allow developer to create additional lots.